Beautifully blue freeze dried thistle heads, perfect for wiring to add into dried flower arrangements, bouquets or centre pieces. sold in a pack of 10 of various sizes, each head measures between approximately 3-9cm in diameter. 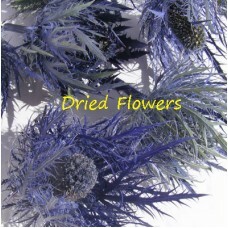 Beautifully blue freeze dried thistle heads, perfect for wiring to add into dried flower arrangement..